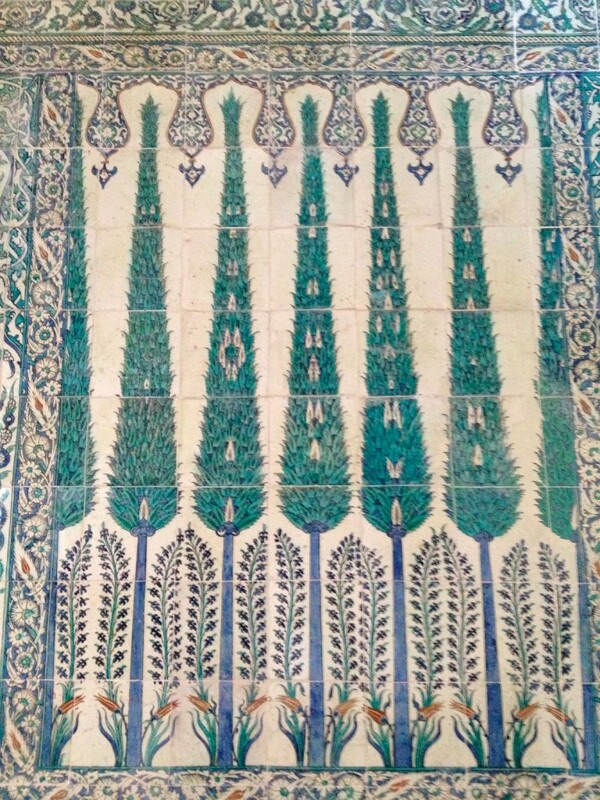 Iznik tiles and pottery get their name from the town in western Anatolia where they were made in the late 15th century through the late 17th century. 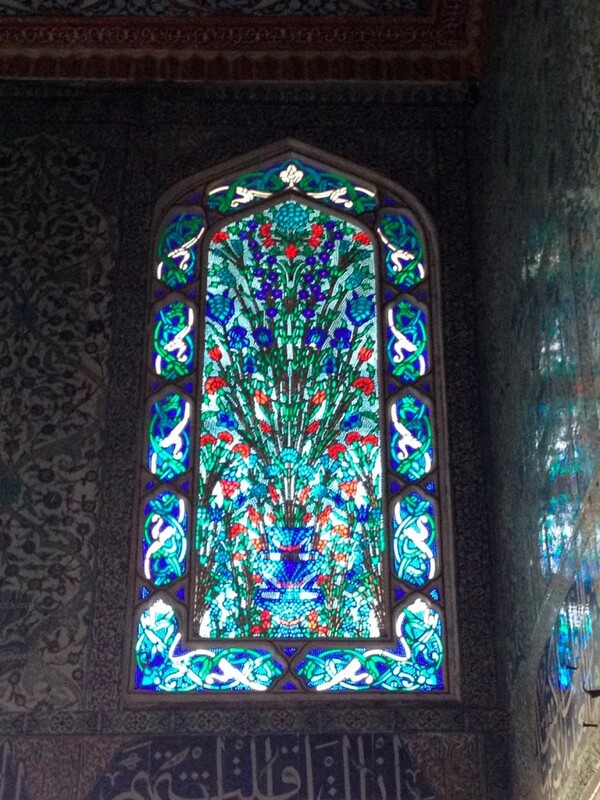 They are beautifully decorated with floral and arabesque patterns in rich colors of blues, greens and reds. 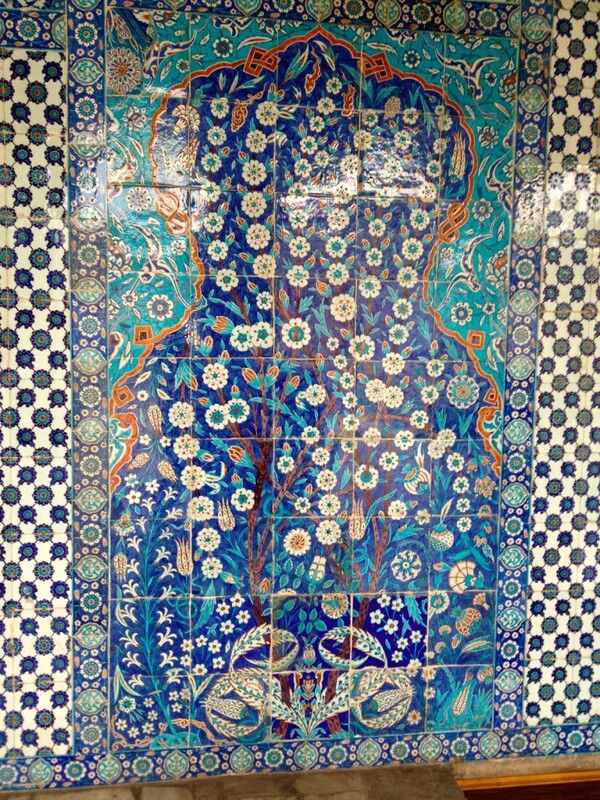 After our tour of the Spice Bazaar, we walked a short distance to the Rustem Pasha Mosque, which is known as having one of the best examples of Iznik tiles in Istanbul. 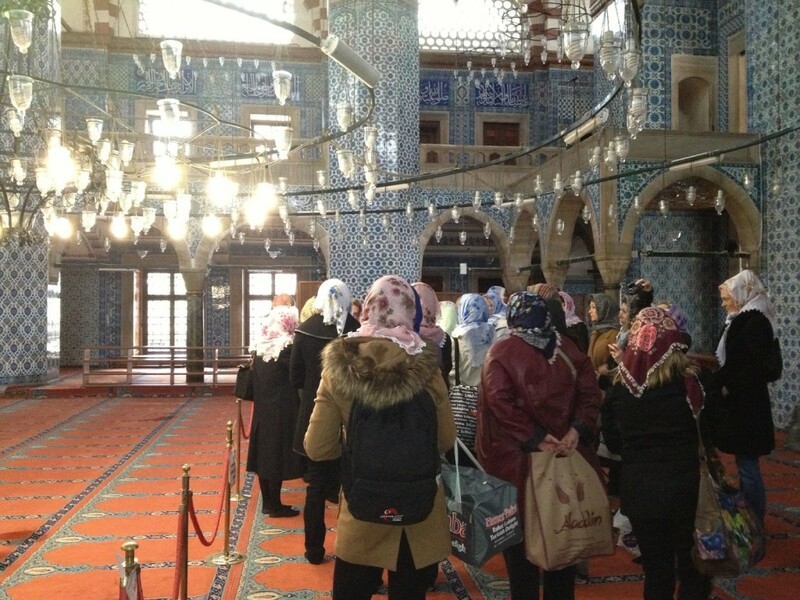 Small and out of the way, the Rustem Pasha Mosque is noted in many guidebooks as the mosque in the city (other than the Hagia Sophia) to see if you were to visit only one. 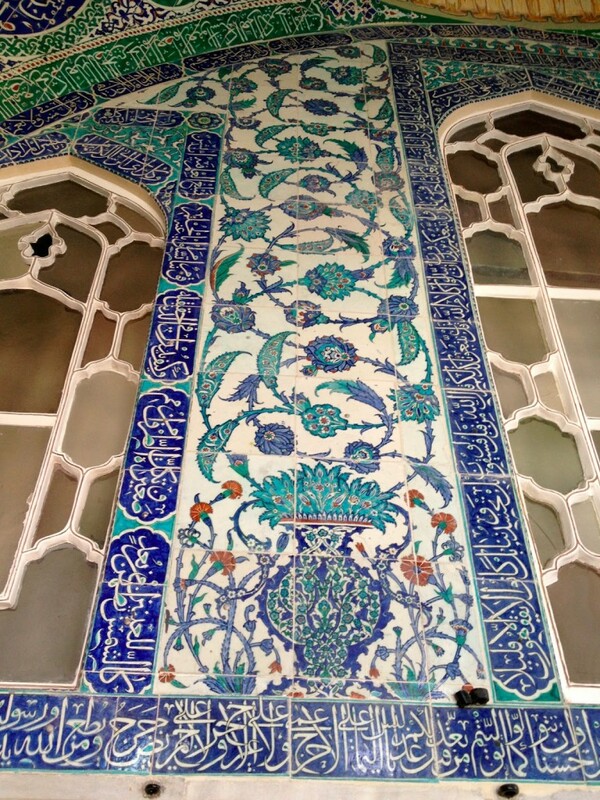 Designed by the Ottoman imperial architect Mimar Sinan between 1561 and 1563, it is also touted as being the mosque with the most “lavish” use of iznik tiles. 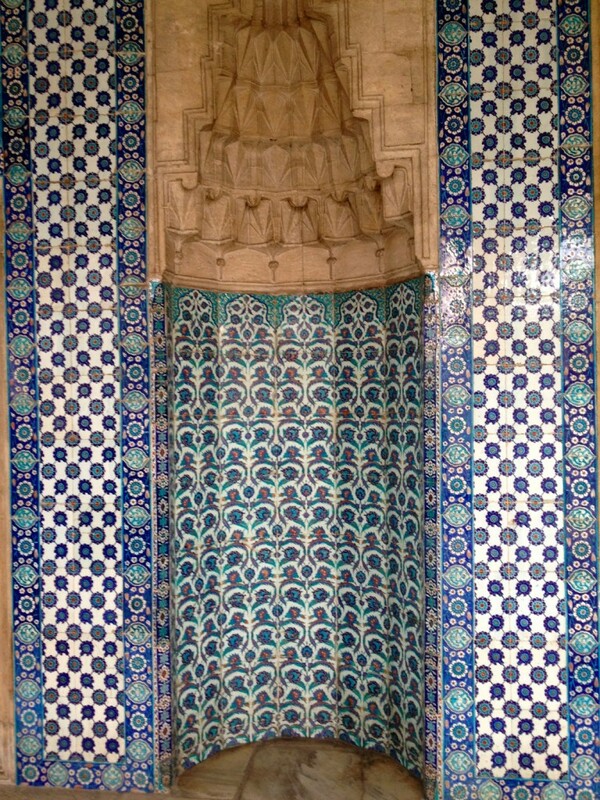 The photo below is the mihrab, a niche in the wall of the mosque that indicates the direction of Mecca. 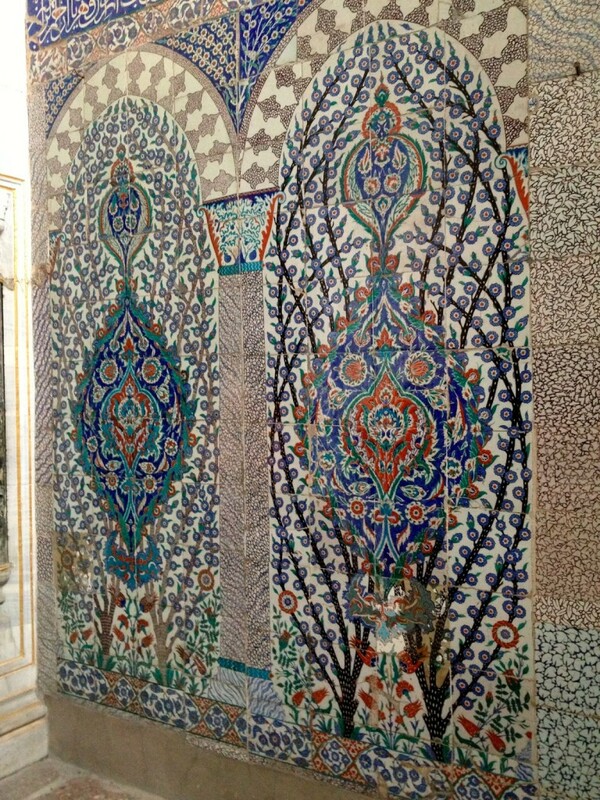 One morning we toured the Topkapi Palace an hour before the general public was admitted. 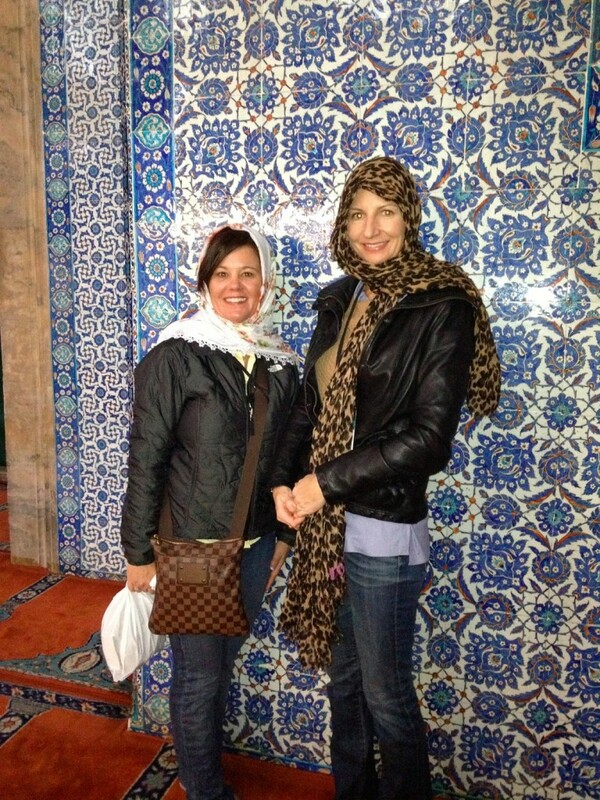 While we had the place to ourselves I went a little crazy with the photos, especially within the harem. 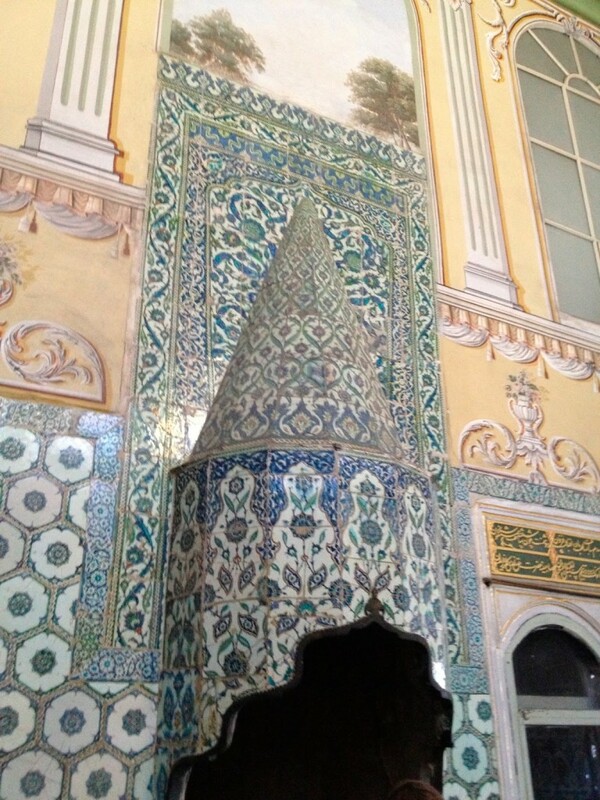 The Topkapi Palace was the principal palace of the sultans of the Ottoman Empire for approximately 400 years. 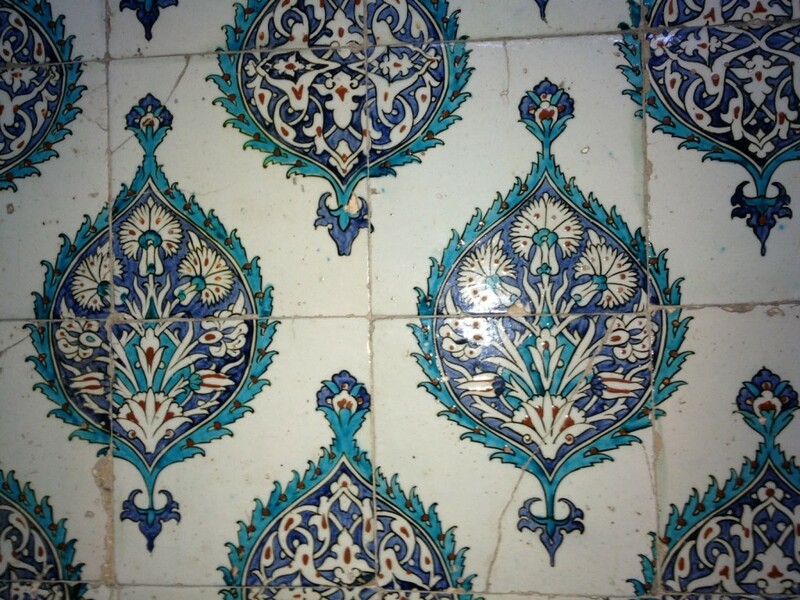 The following tiles date from the 15th and 17th century. How great is this fireplace?